The last stronghold of my challenge, visiting all Disney Parks, is Disneyland Paris! I had visited Paris several times, but I never went to Disneyland Paris. Because there were many real castles in Europe, and so many highlights. I didn't think I should go such an "American" spot. Meanwhile, Disneyland Paris is now celebrating its 25 years anniversary. The beginning of preparation of travel is an air ticket. I will travel alone for this time, I can plan what I like. If I go to Europe, I think only visiting Disneyland is a waste a bit. But, I have been to France several times. I want to go somewhere else. Thus I decided to come to Portugal as well as Disneyland Paris! I booked flights as Star Alliance privilege ticket as follows. 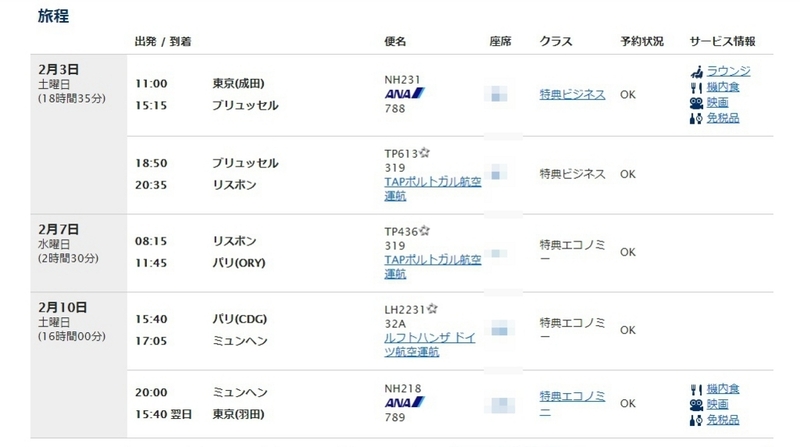 77,500 mile plus 32,460 JPY for tax and surcharge.